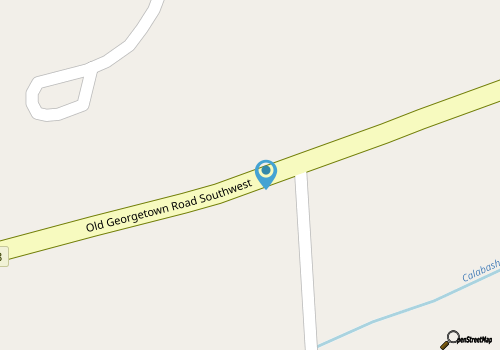 The newest attraction to hit Brunswick County is the much anticipated Ocean Isle Park and Amphitheater, a 58 acre park which is located just off the barrier island on the mainland, on Old Georgetown Road. While the facilities feature a world of every-day fun for outdoor lovers, the star of the park's landscape is the incredible outdoor amphitheater, which is poised to welcome musical guests and evening shows throughout the summer season. 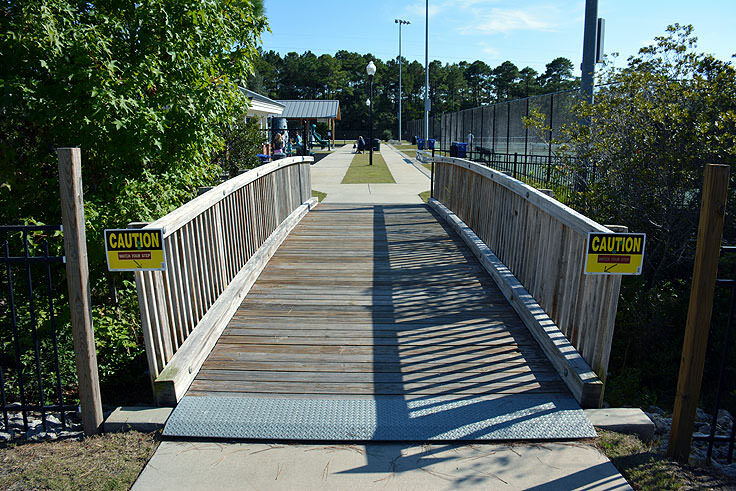 The park ran into some roadblocks during its multiple years of construction, due mainly to diminishing funds, but was officially opened after much local anticipation on August 21, 2013, to the delight of visitors and Ocean Isle residents alike. The park is an expansive outdoor destination which features eight tennis courts, two playgrounds, an expansive covered picnic area, an easy-to-access restroom facility and a 5-acre multipurpose field that can be used for football, soccer and more. This is all in addition to plenty of parking, both by the park's entrance and the amphitheater. While these facilities are certainly more than enough to keep any young family entertained for a full afternoon, future expansions are planned to make the park an even more fun, family-friendly destination. In fact, this first phase of development only used 19 of the park's total 58 acres, and future plans entail adding several softball/baseball fields, a Bocce ball court, a shuffleboard area, and paved walking trails that meander through the scenic, inland region. Several youth and adult sports leagues are already signing up to use the park as a "home base," and special sporting events are being planned for the summertime by local recreational groups. Regional festivals are also eyeing the facilities for upcoming celebrations, and future visitors can look forward to plenty of weekend fun in the years to come. In fact, the famed North Carolina Oyster Festival is considering the park as a potential venue for its future events, and more community happenings and special events are sure to fill up the schedule as time goes on. The biggest attraction within the park, which has garnered so much attention from festival organizers, is easily the 300 seat amphitheater, located behind the playground and tennis facilities, and boasting its own expansive parking lot to conveniently accommodate plenty of park patrons. The wooden main amphitheater is a covered stage with more than enough elbow room for bands and performers, and the seating venue features brick and rock benches that are close to the action, strategically placed theater-style along the grassy outdoor lawn. 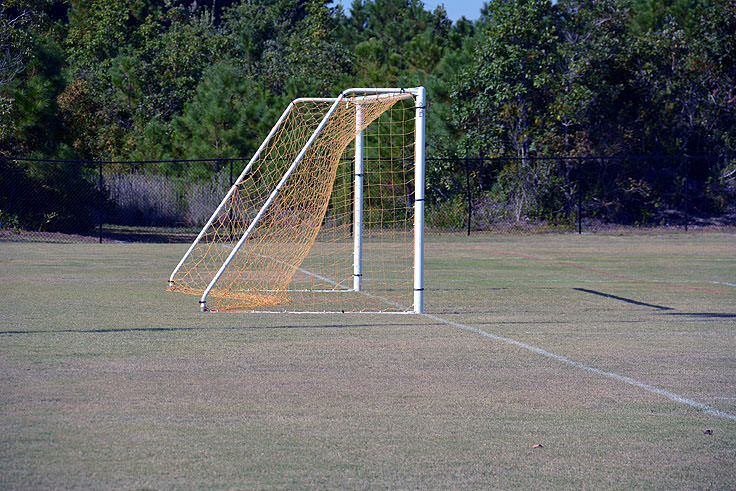 The Brunswick County Parks and Recreation Dept. expects that the amphitheater will become the venue of choice for upcoming summer concert series, which will be wide open to the public, and will undoubtedly be an incredible outdoor experience under the star-filled Carolina sky. Visitors who are planning a summer visit are advised to keep an eye on the local calendar of events to see what upcoming performances and shows might align with their vacation plans. In addition, the park and the amphitheater can be rented for private events, including unique corporate retreats, special group galas or seminars, and unforgettable weddings. Alcohol, decorations that require nails and tacks, and fireworks are not permitted at the facilities, and all events must take place in between the hours of 10:00 a.m. and 10:00 p.m. In addition, a security deposit is required to reserve the facilities, (generally 50% of the total rental fee), and the renter is responsible for providing their own extra seating, food, tents, and any other needed "extras." 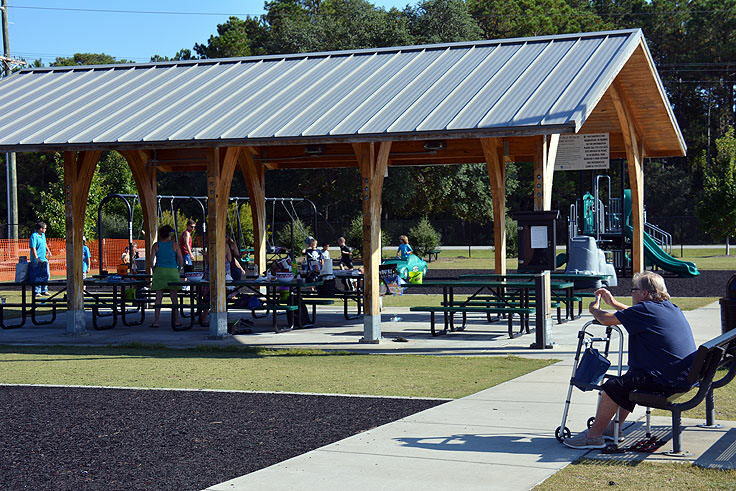 For a complete list of park guidelines, visitors can review the Brunswick County Parks and Recreation's rental agreement online. The Ocean Isle Park and Amphitheater are open daily, generally from sunrise until sunset, although hours of operation may change with the season. 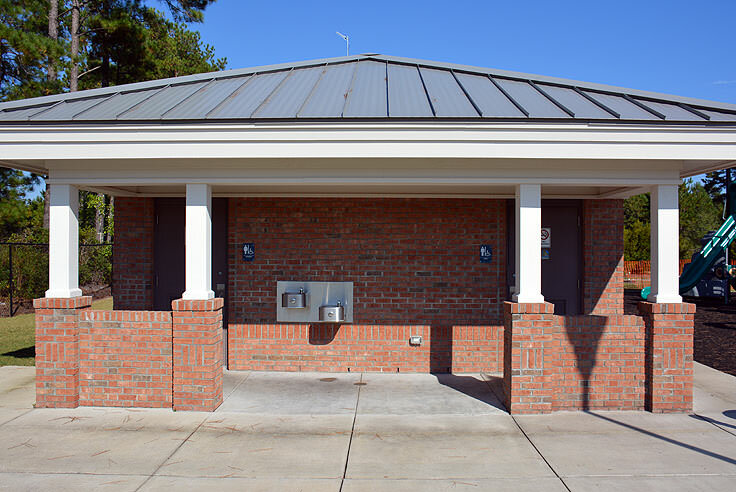 The picnic facilities and tennis courts are available on a first-come, first-serve basis, and potential visitors, site renters, and everyday park goers can call the Parks and Rec Department directly at 910-253-2670 for questions or to reserve any part of the facilities for a special event. 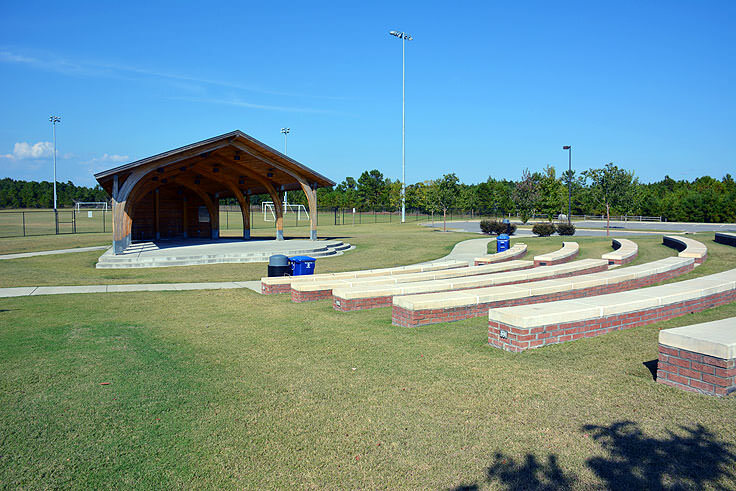 As the newest and arguably most accommodating outdoor venue for Ocean Island Beach and Brunswick County visitors, the Amphitheater at Ocean Isle Park is destined to become a fantastic night spot for outdoor summer concerts, grand destination weddings, and a variety of both private and community events. A fun destination any day of the week, but a truly special locale for music and performances under the big Carolina sky, the Ocean Isle Park and Amphitheater is already making a mark as a stunning and accommodating landmark along the Ocean Isle scenery. Consider hosting an upcoming special event at the amphitheater, or just take the kids out for a fun day exploring the dual playgrounds, and see why this mainland destination that was years in the making was well worth the wait.